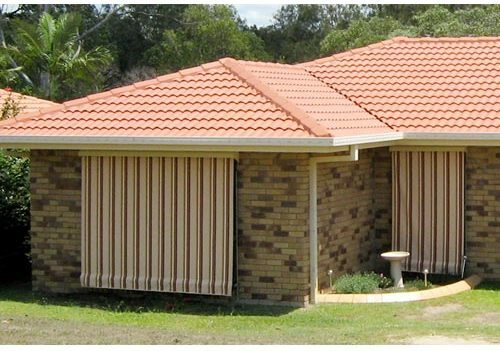 Coastwide Shade Sails / Archive by category "Awnings & Blinds Gold Coast"
The choices available for shade sails and window blinds Gold Coast can make the simple task quite daunting. With so many options available, it can be difficult to determine which one best fits your needs. While outdoor shade sails require careful consideration, one should also not discount the importance of choosing the right blinds for window cover. The window treatments are made with difficult construction, offering various degrees of light filtration. There are certain shades that are designed to offer full coverage and block out the light, which others simply filter light which still provide privacy. Are the windows near the street or your neighbour’s house? Is the window located on the ground floor? By taking into account the location of the windows, you are better equipped to determine what type of window shade to choose. Would you want to completely block the view from top to bottom? Or would you want a doufold variety? If you still want to enjoy the view outside while providing great coverage, consider getting sheerweave shades or the solar shade variety. Window treatments can offer decent protection from harmful UV rays, which is important for preventing fabric damage on carpets and furniture. Take into consideration the material and fabric of your window shades. A strategic choice of window shades can help you reduce energy costs. You will want to choose window shades that are great insulators during winter. Among the great energy efficient shades are the cellular variety and the honeycomb shades with a unique cell pattern. When you are shopping for window shades, take into account the application. For kitchens, you will want to choose a blind that is easier to clean and maintain. Gold Coast Awnings provide protection to repel the harsh sunlight & protect your home or business from common elements such as rain. Aside from the major business centres and the most urbanised locations that litter themselves with tall office buildings, most structures in Queensland—including the Gold Coast—sport much more modest sizes in terms of storeys. The typical suburban home or property consists of one to two storey living spaces surrounded by ideally proportionate yards, and the small-to-middle tier businesses and commercial properties that thrive in the area tend to sprawl instead of stack up. The familiar sight of well-manicured lawns and wooden picket fences in the suburbs, and the homey-friendly styles of business locales successfully paint a quaint theme of small-town living even in the modern bustling hub of culture and commerce that is the Gold Coast. Typically, with such a successfully realised aesthetic, anyone would be remiss disturb the look of his or her own home or establishment with home improvement solutions or accessories that don’t add to the overall ‘look and feel’. Sadly, some changes are a consequence of need and can’t be avoided. Take the constant fight against sun glare, for example. One would think that for an area where most buildings are only a few storeys tall, this would not be a particularly big problem; but the otherwise fortunate weather profile of the Gold Coast—which is mostly sunny days with interspersed showers during the rainy season—is precisely why glare is a more prevalent occurrence than most other places in more temperate climates. Early in the day, and in the afternoons a few hours before sunset, the sunlight easily passes at an angle through uncovered windows and exposed patios. Even on midday, reflected sunlight from walls or pavements creates a secondary glare that blasts both light and heat through those same areas. Awnings are employed as a functional protection to repel the sunlight, although traditionally this has a habit of disturbing the intended cosmetic designs of the window or patio. With the right outdoor solutions provider, this won’t be a problem. There are dozens of tasteful types and designs offered by experienced installers like Coastwide Shade Sails that can accommodate any kind of cosmetic specification. Sturdy frames and quality awning fabrics are also very important not only to the longevity of the installation but also to the overall ability of the awning to protect against the common elements of sun and rain. There are a plethora of options when looking for Gold Coast Shade Sails to match one’s living environment. There are a variety of sizes, designs, colours, material, and quality to choose from. Such is the nature of the competitive market of tough fabrics and outdoor solutions. But perhaps this abundance of choice isn’t so much an effect of materials becoming cheaper as they are a signal that more and more people are becoming more aware of the advantages of outdoor shades sails, and are clamouring for new and better solutions based on quality, as well as variety. This is most certainly the case in most parts of the country today, including the Gold Coast. The near-ubiquity of blue, cloudless skies and overall sunny weather throughout the year might appeal to tourists, but the typical Gold Coaster knows that there is a lot more to it than enjoying the day on beaches and boardwalks, frolicking in parks, and experiencing nature in all its glory. Sometimes there can be too much sun. Any property owner knows, whether residential or commercial, that it is a pain to see a good chunk of your space being under-utilised—especially during the midday. That is why it has become common to use stylish Gold Coast Shade Sails to cover exposed frontages and reclaim previously unusable backyards. Patios, paved walkways, and outside property perimeters that were previously a ‘no man’s land’ at certain times during the day are now able to be used in the most aesthetically-pleasing ways possible. Many manufacturers offer a lot of colour choices, but the durability of the fabric, as well as the fittings used for the installation, are what separate the common offerings from the truly dependable ones like the shade sails made and installed by Coastwide Shade Sails. Their waterproof sales are made from industry-recognised, commercial-grade fabrics; and their modern heterogeneous designs don’t sacrifice good looks for durability. For those who want to synergise the styles of their standing structure and the shade sails without compromising quality, these folks, with their years of installation expertise and experience, are the best option. In the discipline of interior and home design, there is often the debate of whether form or function is the primary consideration. In both schools of thought, there is no question that both aspects are important—it’s just a matter of which one is contingent on the other. Designs can be planned out by considering the usefulness of the layout first—the optimal positioning of the furniture and the appropriateness of the lighting fixtures, and only then incorporating a design that fits them best. Or one can decide on a given aesthetic and base one’s subsequent planning and position from there. Whichever side one happens to agree on, there are essential objects which embody both design and function on equal footing. Window blinds are an example. There is a need for them to be equally functional and stylish. Modern residences, commercial structures, business, and service places all prefer blinds to the traditional curtains nowadays. Never mind the vast difference in ease of manipulation and maintenance that blinds have over curtains, these modern aesthetic ‘accentuators’ are cheaper and more versatile than their pre historic counterparts. While curtains are unwieldy to draw and separate, there are multiple mechanisms that are employed on blinds that not only complement their style but also make their operation easier. One of the most popular mechanisms for blinds is the more traditional rope and pulley system. The fabric is easily raised or lowered by pulling on the rope attached to the pulley embedded on the top rail. The most advantageous aspect of this mechanism is its relative cheapness yet comparable functionality when compared to the other types. Another type is the spring-loaded pull-up-and-down type. This is most common for roller blinds. There is no need to exert one’s self when manipulating this mechanism. To drape the blind simply pull on the bottom of the fabric to the desired length and let go. The mechanism will automatically lock the blind in place. To put away the blind, simply pull on the bottom portion again and let go; this should disengage the lock on the blind and roll it up automatically at a safe speed. Then there are the automatic blinds with arms and guides. These employ a rotor system to engage and disengage, dispensing of manual work altogether. Its arms guide it to the right position. Of course, the best thing to consider when opting for any one of these mechanisms is the expertise of the installer. 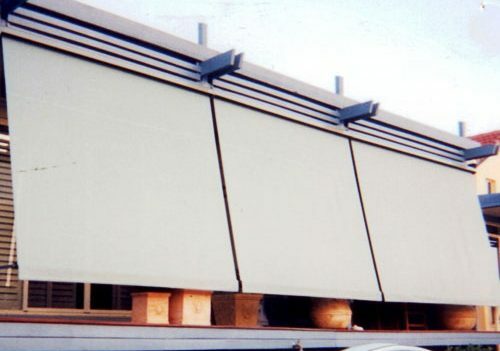 Blind installations are often the deciding factor for the overall functionality and lifespan of your blinds. 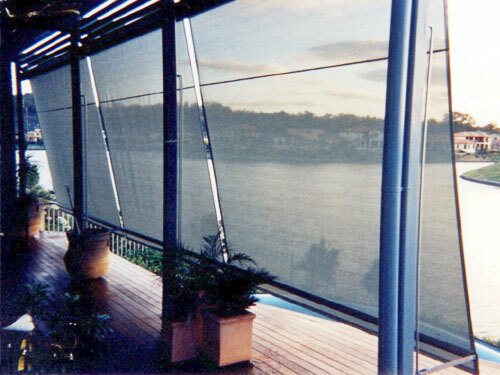 Only commission experienced installers like Coastwide Shade Sails on the Gold Coast to make sure your blind installations achieve their purpose of reduced hassle, rather than adding to them.